The war has entered the drone era faster than expected, and the "overhead dangers" of civilian drones are growing, with the exception of large drones such as the global hawk. At home and abroad, the phenomenon of "black flying" and "flying" has emerged endlessly, which has attracted more and more attention to the problems of safety supervision, such as the take-off and landing of civil aviation aircraft, and the eavesdropping of secret regions. 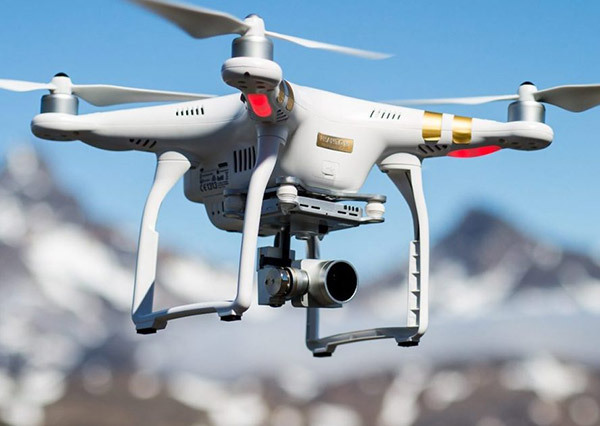 In fact, more and more unmanned aerial vehicle (uav) crime also let the people pay more and more attention to management of the unmanned aerial vehicle (uav). The UAV jammer market is growing rapidly, and drones are now playing a role in aerial photography, mapping, delivery, rescue and other areas. But then there are the "troubles" that affect the order of aviation, the intrusion of sensitive areas... These phenomena, and more also led to the surrounding the rapid development of the derivatives industry, in addition to unmanned aerial vehicle (uav) equipment and service providers, unmanned aerial vehicle (uav) "predators" also benefit a lot from it, this gives an unmanned aerial vehicle (uav) enterprise has brought enormous development opportunities. Most drones rely on external signals to maintain normal flight activities, including radio flight instructions, GPS signals and so on. There is a saying in the field of electronic warfare: there is no electronic equipment that can not be interfered with, and there is no interference with it. So, in theory, all drones can interfere. It's just more difficult to jam military drones. The Chinese military has been equipped with the U.S. military to deploy drones to interfere with radiation weapons. Large electronic warfare equipment can even interfere with and capture the enemy's large drones. For example, Russia's "car field" electronic warfare countermeasures system has some powerful functions that are not known to the outside world. The radar system, which can suppress 50 aircraft at a height of 30, 000 meters, can also launch electronic attacks on fighters and drones within 100 square kilometers. In October 2011, Iran captured an American rq-170 "sentinel" stealth drone using the russian-supplied electronic countermeasures system. Drones do not get enough accurate data on their own coordinates. Therefore, the flight control of the uav is combined with GPS satellite navigation system and inertial navigation system. The drone also needs to know its precise location when taking a photo, so it has a GPS signal receiver installed on it. As it is, the unmanned aerial vehicle (uav) of GPS receiver vulnerable to electronic jammer gps, lead to uavs can only rely on the inertial navigation system based on gyroscope, cannot get enough accurate coordinate data. Even if there is no precise terrain measurement, with the aid of cameras and video cameras for intelligence will not have any value, at this time of uavs at most is a flying camera, whether from a military perspective, or from the Angle of surveying and mapping of civilian, would mean a loss. Why need UAV jammer? Why need use the signal jammer?